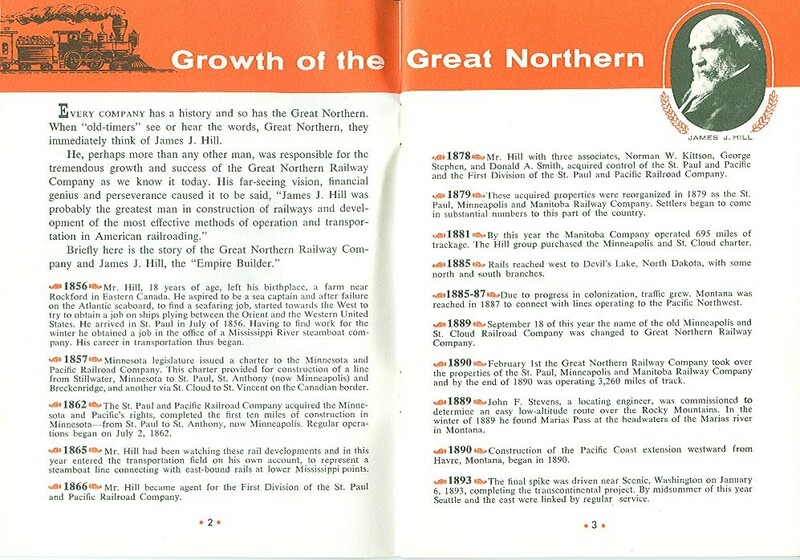 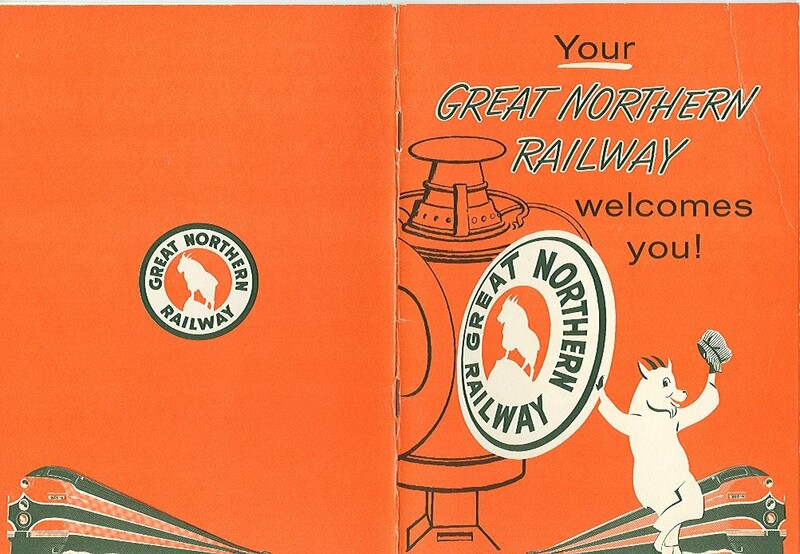 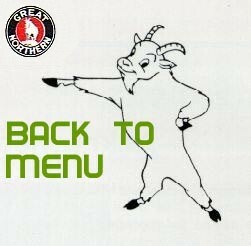 Your Great Northern Railway Welcomes You! 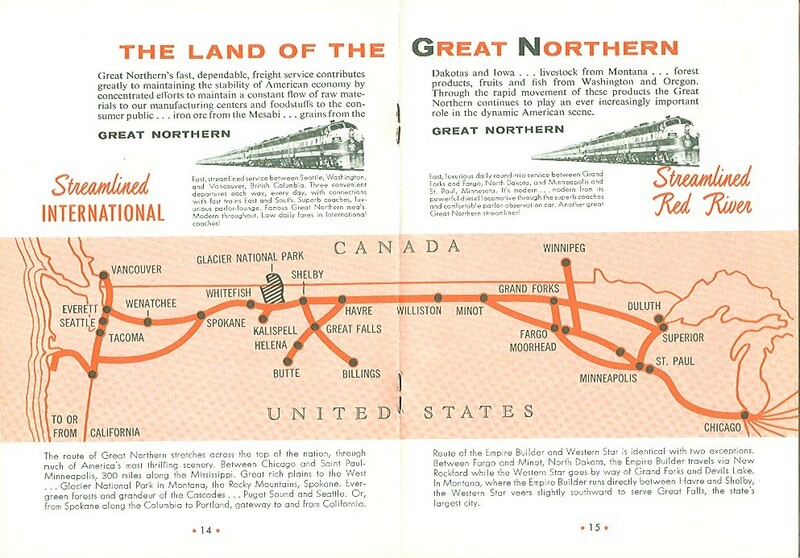 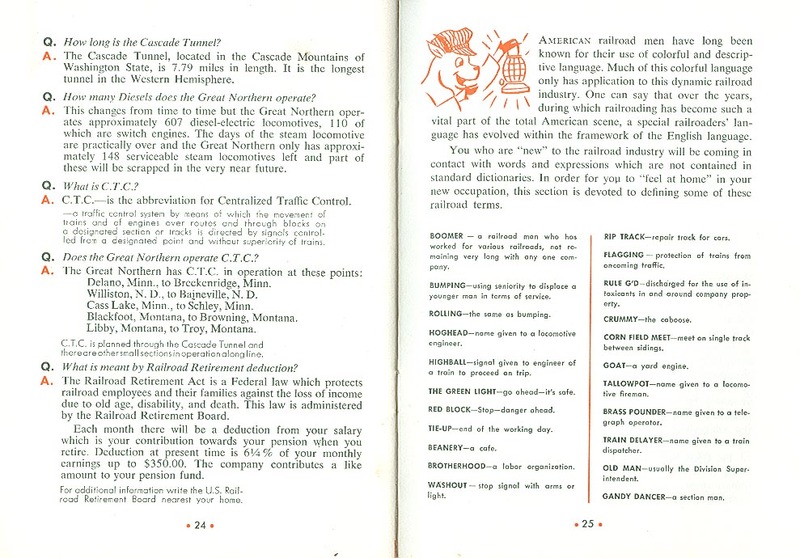 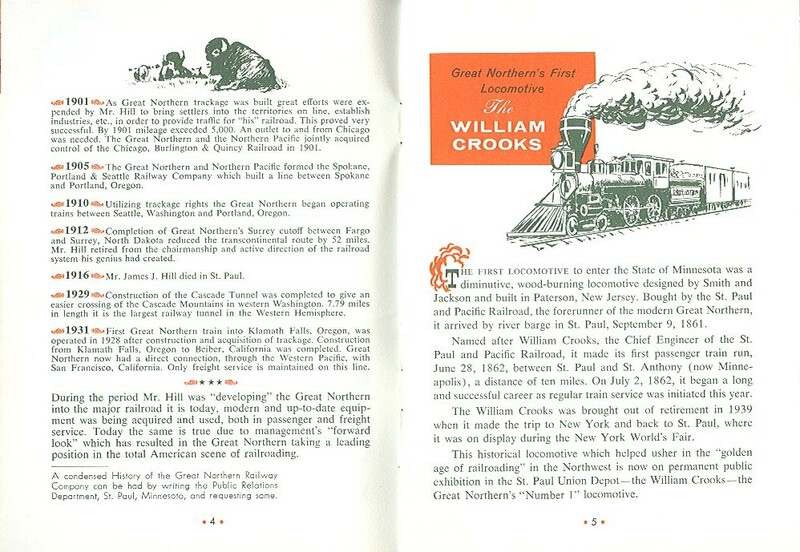 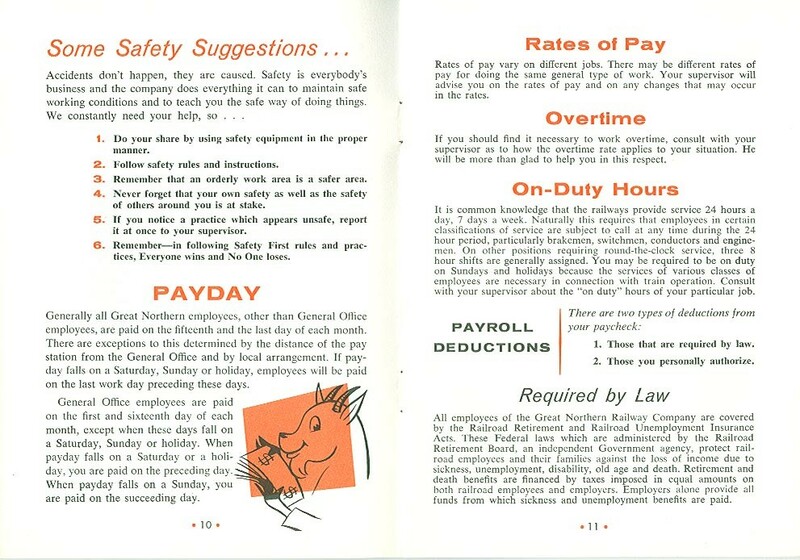 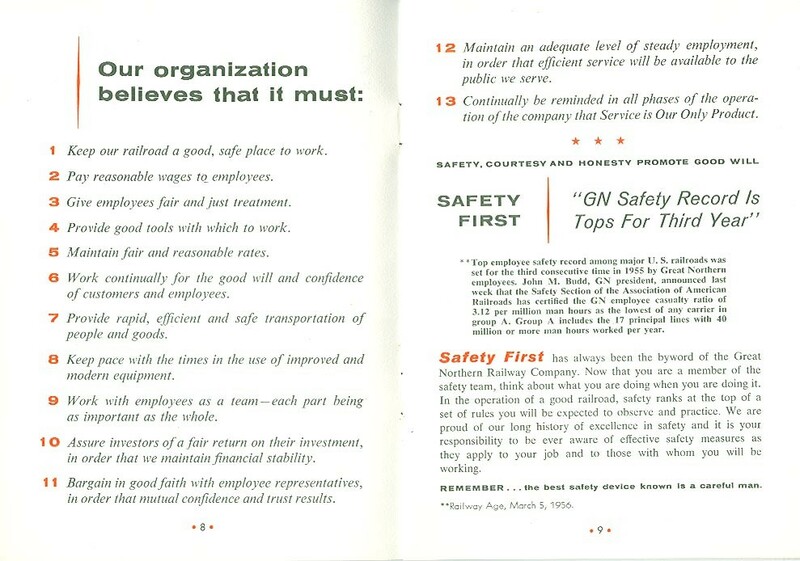 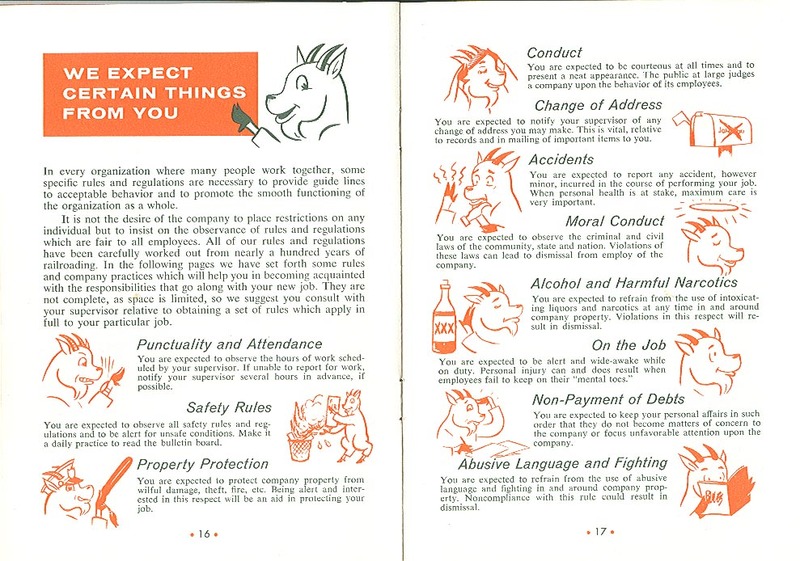 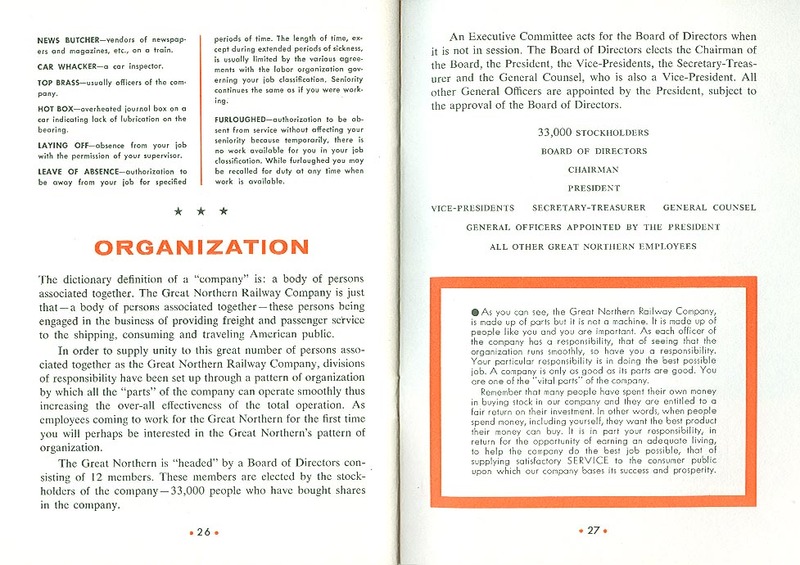 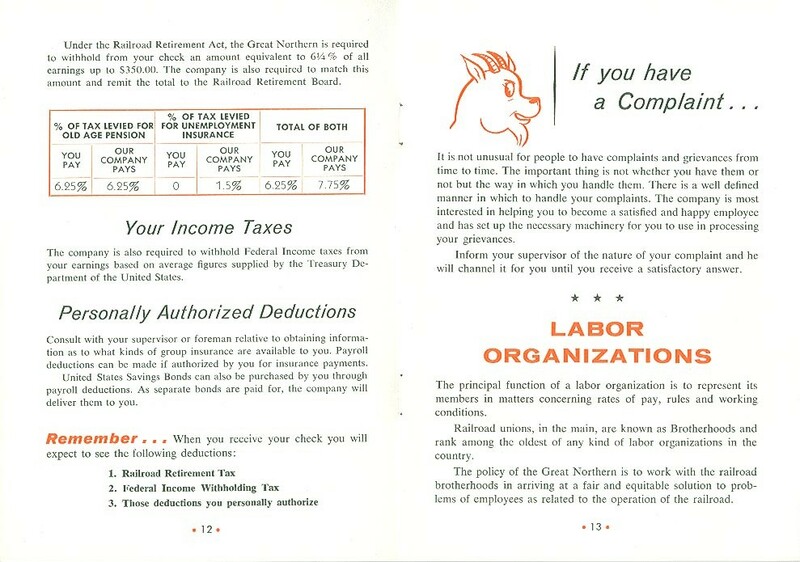 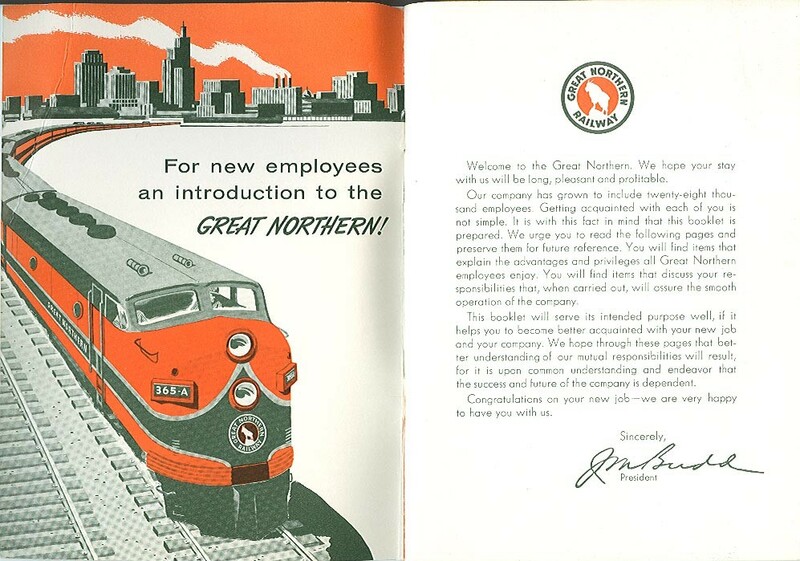 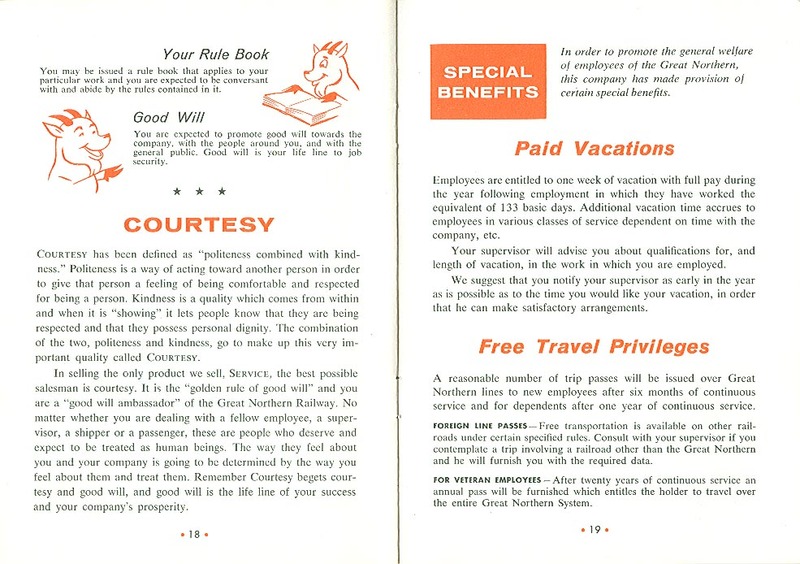 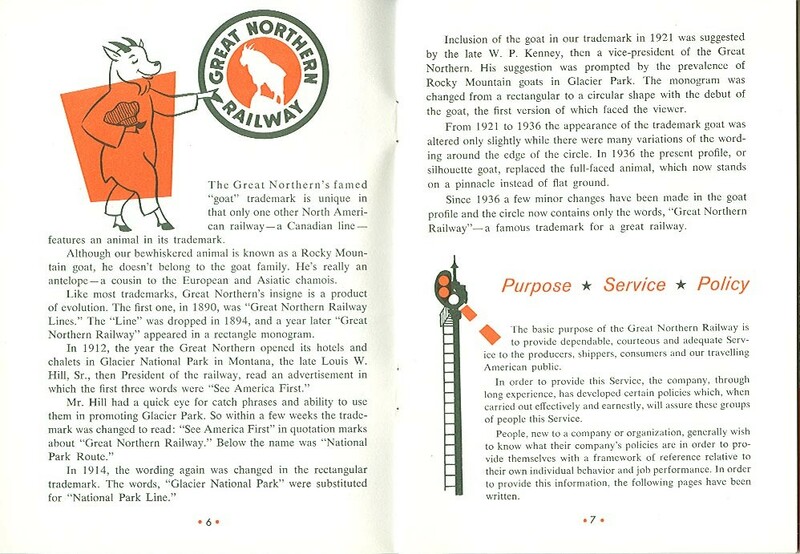 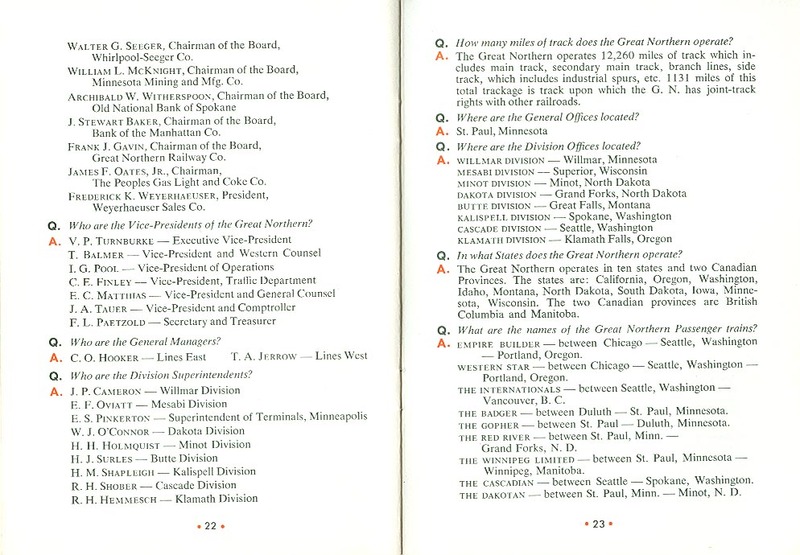 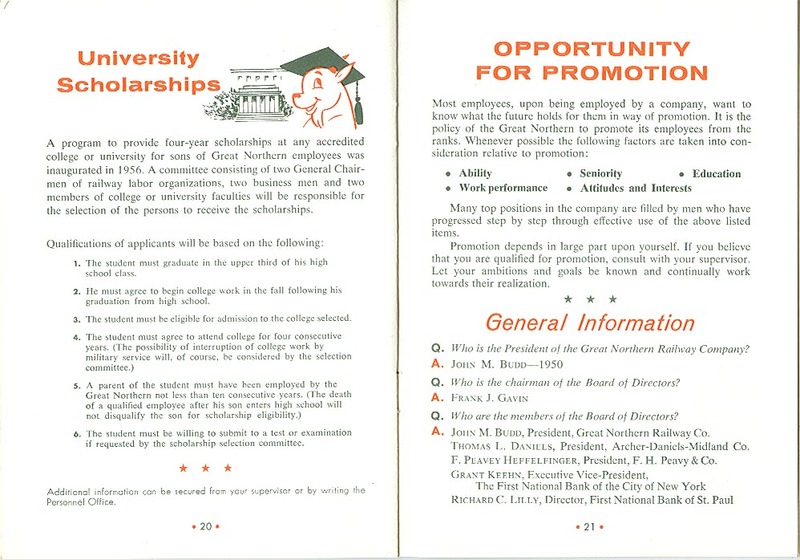 is an undated (post-1956) brochure which introduces new employees to work on the railroad. 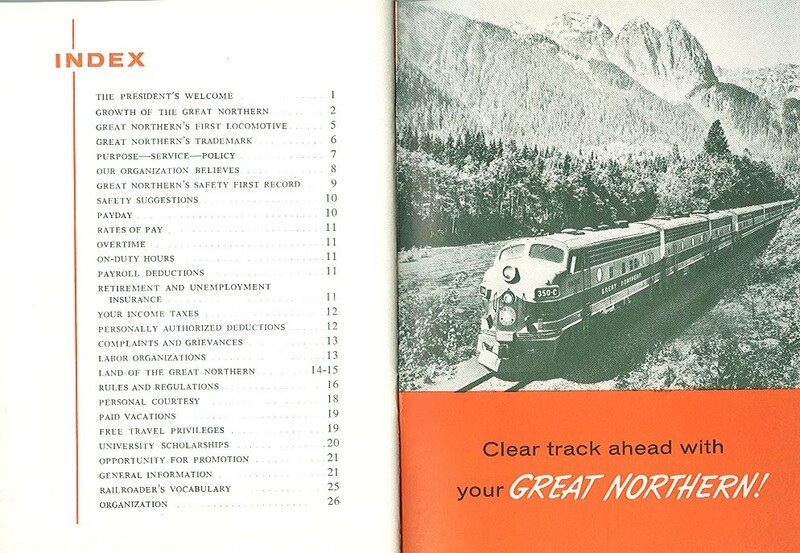 Index and Clear Track ahead with Great Northern!